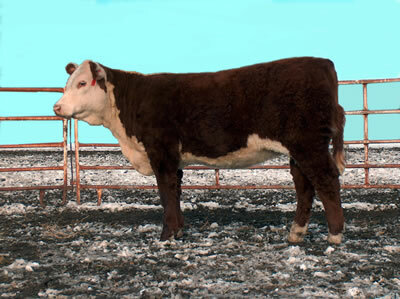 High seller at spring 2008 Rausch Hereford sale in South Dakota. She is very classy and extra deep-bodied. Her mother is a top Domino cow with a +23 milk EPD.